Here are three 2019 MLB draft eligible players from the FIU Panthers who could hear their names get called by the Marlins. 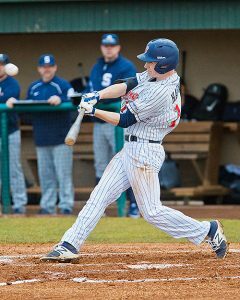 The top MLB Draft prospect from the Florida International University is their junior third baseman Austin Shenton, who started off his college career at Bellevue College. Bellevue College baseball will host the NWAC Showcase on Saturday, Sept. 22. The one-day event will begin at approximately 8:45 a.m. at Courter Field on the BC campus. The event features the top recruitable prospects for both professional scouts and four-year college coaches. Though former Bulldog Adrian Sampson ended up the hard-luck loser in a 1-0 loss to the Los Angeles Angels, he took significant steps towards putting himself into the conversation for one of the many unclaimed spots in the 2019 Rangers rotation. The first was to actually make it to the mound. The Bulldogs battled back to force a second title game against host Lane, but were unable to overcome a four-run deficit in their fifth game in three days and fell to the Titans 7-3 in the final of the NWAC South Super Regional on Sunday. BC infielders Brennen Hancock, Griffin McCormick and Grant DeLappe, along with outfielder Ethan Smith, were named first team NWAC all-North Region in baseball. Pitchers Eli Herrick and Brendan Ecklebarger were named to the second team, along with utility player Carter Wallace. BC sophomore Brendan Ecklebarger spun a 7-inning no-hitter while striking out 8 and only allowing 1 walk. Ecklebarger lowered his ERA to an impressive 1.97 in 50 IP. He improves to 3-1 on the year for the surging Bulldogs. 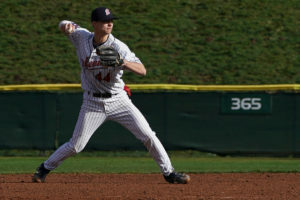 After deciding to transfer part way through his sophomore year at Ole Miss, Wainhouse chose to return to the Pacific Northwest. He immediately knew he wanted to come to Washington, but per NCAA transfer rules, he would have had to sit out for a transition year. Instead, the Kent native went to Bellevue College to get regular playing time.